Apple's iPad is no doubt the major trend setter tablet computer. The iPad is thin, very light and easy to tote around. Also, with storage capacities of 16Gb, 32GB, or 64GB, a new iPad rental is certainly capable of handling in on-the-go data tracking task. Android tablets are great for those Android lovers. Mobile devices that run Android software are notorious for being more flexible with user preferences, and Android tablets usually have more options concerning how to connect with USB options. Our top Android tablet rentals are the Motorola Xoom and Samsung Galaxy Tab. Convertible tablet computer rentals are very handy for multiple format uses. These tablets can toggle between slate tablet and laptop functions, either by flipping the screen, or turning it where it is connected to a keyboard. Slate Tablets are made for mobility. They have no attached or detachable keyboard, and are often ultra thin and light weight. So slate tablets are ideal for computing on the go, either traveling or doing a lot of moving around your business during busy seasons. In many industries a simple tablet isn't enough to handle the physical demands of the dailty job. In heavy-duty situations, you need a heavy duty tablet that will survive out in the field. These types of tablets are designed to withstand the harshest environments and professions. 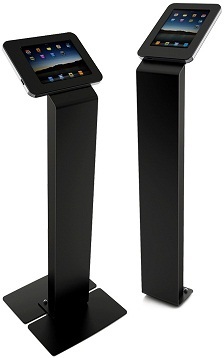 Tablet or iPad kiosk rentals are an excellent asset for your event planning. You can set up easy to use kiosks for self-service stations, where guests can check-in, or find where they need to go etc. We Ship To , Nevada! We do not have any rental techs in , Nevada. No problem, we can still ship to your location! Just contact RentOurTablets.com at 888-736-8301!